As with most older resorts, Acadia Village Resort offers units for sale for reasonable prices. 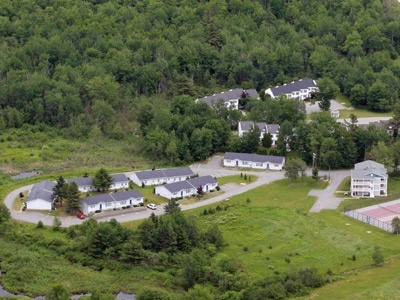 These resales are handled by resort staff, you may contact Acadia Village Resort directly by calling (207) 667-6228 or using the form on our contact page. Ask for Jim or Tricia for available units and prices. Units 11-46 are Townhouses (2 bedroom/sleep 6 units). They are 2 story units, and have Saturday check-in/check-out days. They currently do not have air conditioning. Units 51-62 are Villas (2 bedroom/sleep 8 lock-off units). They are single story units, and have Friday check-in/check-out days. All Villas have wall air conditioning units. Villas can be split into 2 smaller units (2- 1 bedroom/sleep 4 units) for multiple exchange weeks by owners. Units 71-73 are Manors (3 bedroom/sleep 10 units). They are located in a single 3 story building with no elevator. Unit 71 is the bottom floor, unit 72 is the middle floor, and Unit 73 is the top floor. Each unit consists of the entire floor. Manors have Friday check-in/check-out days, and have central air conditioning in the building. Manors also can be split into 2 smaller units for exchange options. A-side units are 2 bedroom/sleep 6, and B-side units are 1 bedroom/sleep 4 units.